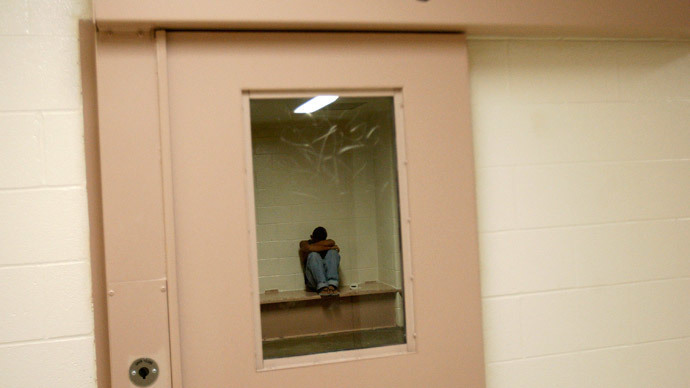 Solitary confinement for those held in Illinois juvenile facilities will essentially be banned following the settlement of a federal lawsuit involving the American Civil Liberties Union and the state. Under the terms of the federal settlement, juveniles will be required to spend at least eight hours a day outside their cells and must continue to receive education and mental health services. The settlement applies to six juvenile facilities in the state, but not to juveniles held in the general prison population under the Illinois Department of Corrections. The settlement policy announced Monday was approved in April by Judge Matthew F. Kennelly of Federal District Court, in the lawsuit RJ v. Jones. It is meant to improve conditions at the state’s juvenile facilities where about 700 juveniles are currently held. Before initiating the case, the ACLU of Illinois conducted a survey of the youth facilities and interviewed scores of young people. The group discovered that the department provided inadequate mental health and educational services. It also found juveniles were exposed to dangerous situations such as excessive room confinement and violence from staff and other youth. The six state-run juvenile facilities affected by the settlement hold from as little as 24 people each to as many as 238. A spokesman for the Illinois Department of Juvenile Justice said state officials were pleased with the settlement. The Illinois settlement follows a nationwide trend to reform the use of solitary confinement in juvenile correctional facilities. Other states that have made reforms are Mississippi, New York and Ohio.